I have an Amazon Kindle and I also happen to use Instapaper. And I love the fact that Instapaper can actually format the articles you save in it for your Kindle. Here's a tutorial on how to go about doing it. What is this Instapaper thing? If you click the link in the first line of this article, you'll know. Instapaper is basically a tool that helps you save web articles and sites to see later. With simplicity. It's a really useful thing, in my opinion, especially because I write this blog and follow numerous tech blogs for that purpose. And with my new Kindle , it's even more so. Go through my Instapaper guide (link in first sentence of this article) to see how you can save articles to your Instapaper account. Go to your unread folder. Look through the sidebar on the right for a section titled 'Download'. Click the Kindle link. A small .MOBI file will be downloaded. Transfer it to your Kindle via USB (folder called 'documents') or through email. You will get an easily-navigable 'book' with all the articles, nicely formatted for your device. In my experience, the formatting is pretty good. It does mess up with a few blogs, but everything is placed correctly and it's readable. You can also schedule Instapaper to send your articles directly to your Kindle on a regular basis. See the details on the Instapaper site. Like this? 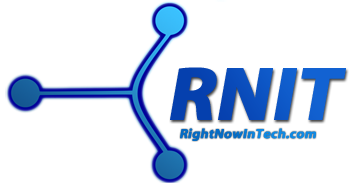 Connect to Right Now In Tech!